The myth of the solitary inventor has often been challenged—even Thomas Edison had his “muckers,” a team of scientists and inventors that contributed to many of society’s greatest advances. The focus recently has been on the Remex Static Mixer, a breakthrough redesign of current static mixing technology that uses up to 33 percent less energy and provides opportunities for gentle flow mixing of delicate materials. The principles of the design could be used in a multitude of applications from protein therapies to petrol chemical processing. Chris Meyer (founder, Sector 67) presenting the Dvorak Energy Innovation Prize to Eric Ronning and Brian Pekron. Photo courtesy of the Wisconsin Energy Institute. 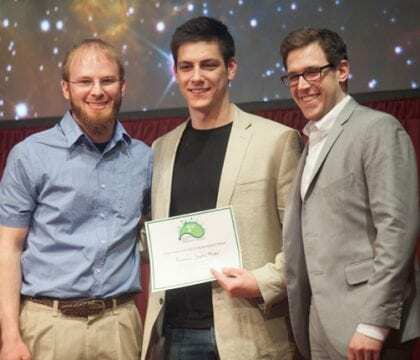 Over the last year, the team, consisting of Ronning, Brian Pekron (a nuclear engineering graduate) and Will Doniger (a current student in materials science and engineering), won the Dvorak Energy Innovation Prize, the Qualcomm Innovation Competition, and were finalists in the national Collegiate Inventors Competition. With each experience, the team garnered feedback to help them improve upon the static mixer. The team realized they had to collect more data and needed to create an accurate simulation environment to do so effectively. It wasn’t an easy task, but now that they’ve created the simulation, they can easily test hundreds of designs within the program. More time can be spent interpreting data and making necessary improvements on the prototype, rather than putting all resources toward data collection. Additionally, as the team found through each round of competition, strategies for bringing projects from the lab to the market are also a key part of future success. 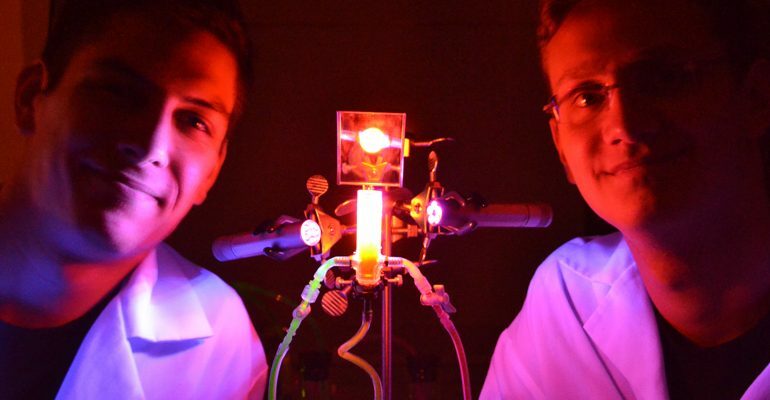 To help enable commercialization of the project, the Remex team received an Igniter Award, an opportunity sponsored by the Discovery to Product (D2P) initiative at UW-Madison. Recipients must have ties to the university as either faculty, staff or student, and be in a pre-commercialization stage with unincorporated projects to qualify. This is the second year Igniter Awards have been given, with about 10-15 teams chosen each session. Selected teams receive funding to support their projects and attend workshops to build entrepreneurial skills and learn the ins and outs of bringing a product to market. The sessions cover anything from customer archetypes to creating business plans, and, again, emphasize the importance of building a dynamic team.